Deep Sky is an astronomical image database of unprecedented depth, temporal breadth, and sky coverage. Image data are gathered from the Near Earth Asteroid Tracking (NEAT) project from the 3-CCD and Quest112-CCD cameras on the Samuel Oschin telescope at the Palomar Observatory in San Diego County, California. Containing a total of eleven million images, or 70 terabytes of image data, Deep Sky covers nearlythe entire northern sky. 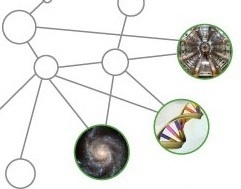 Deep Sky is a collaborative effort between several groups in CRD and NERSC, and is intended as a pilot project that will facilitate NERSC efforts to create science gateways for scientific users across many domains.